Lipstick & Lollies saved her first sock bun experience for a rainy day and, I must say, she knocked it out of the park! So cute! Ishi infused a bit of european style into her look - cat eye frames and an eiffel tower shirt make for one chic outfit! Love how all of them have a fun pop of color! Very cool! They are all so stylish and beautifl! Great post!, i love all the outfits! This is awesome! What a great way to be exposed to more blogs. I would love to be on this in the future! Such great inspiration. 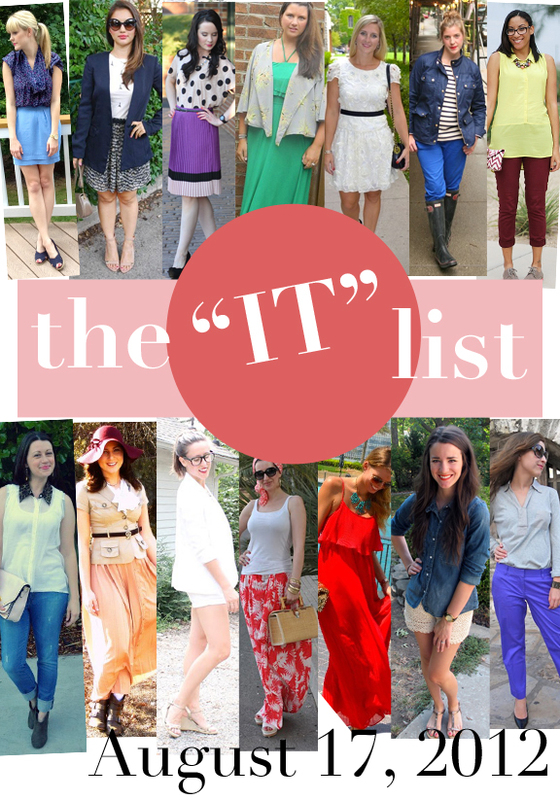 Another great It List! I looooooove that red maxi really jumped out at me! I will have to check them out! Great selection of talent! I love your "IT List." Its such a =great way to find new fashion bloggers! Thanks for sharing and Have a great weekend! Love all of these outfits! Such fashionable ladies!